With thousands of different Tarot decks available, how do you know which deck to choose for your own Tarot readings? In this post, I show you how to find a Tarot deck that’s a perfect match, just for you, so you can be reading the Tarot cards in no time! Tarot decks are very personal. They’re highly visual and symbolic, and each type of deck will ‘speak’ to you in different ways. So make sure you choose a deck that you feel truly connected to. For example, you might feel connected to the more traditional decks such as the Original Rider Waite deck or the Tarot de Marseilles deck. Or perhaps you love the more modern decks like the Wild Unknown Tarot deck. Or, if there isn’t a store nearby, jump online and look at the imagery of different decks. I know it sounds simple, but choose a deck that truly ‘speaks’ to you and that keeps getting your attention. Not all Tarot decks are created equal! Some decks have extensive information available to help you interpret the cards. However, other decks may have a lot less – often just the Little White Book that comes along with the cards. And some decks have nothing! So before you choose your Tarot deck, find out how much information is available about that particular deck. And figure out how much information you personally need. If you’re new to Tarot or prefer to have a lot of reference material on hand when reading Tarot, then the Rider Waite deck is your best option. As the most popular deck, there is a tonne of information about these cards and what they mean. And that’s why this deck is often recommended to Tarot beginners. If you’re a more experienced Tarot reader or you enjoy reading intuitively (i.e. without the book), then obviously your options are a lot broader. You might choose a deck that is similar to the ones you are already familiar with (e.g. decks based on the Rider Waite deck) or ones that are highly visual so you can tap into them intuitively. The final thing to consider when choosing a Tarot deck that’s right for you is your Tarot reading style. Some Tarot decks suit certain types of readers better than others. For example, if you’re into the occult, you’ll love the Thoth deck. Or if you like easy-to-interpret imagery, then the Rider Waite deck is a solid bet. Or if you’re into Zen, choose the Osho-Zen deck. 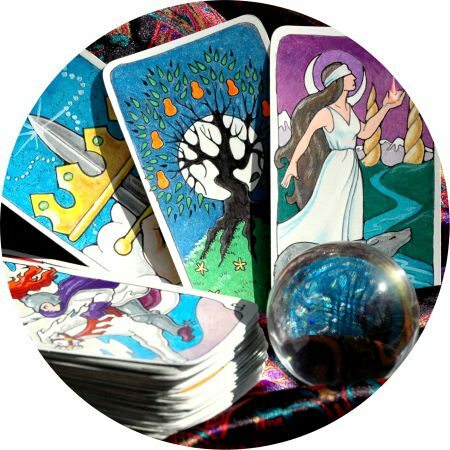 We are blessed with choice when it comes to Tarot decks, so think about how you prefer to work with the Tarot cards and select a deck that matches your Tarot reading style. Me? I love the Radiant Rider Waite deck because it is colourful and bright, and it’s a deck that I am now very familiar with. I recommend this deck to Tarot beginners because the imagery is very easy to interpret and there are so many books that use this Tarot deck. I also love using the Gaian Tarot deck for my personal readings. This deck has a really nurturing, soulful energy about it that is just perfect for my personal consultations with the cards. What about you? What Tarot deck are you drawn to the most? Leave your comments below.